Armstrong, Bailey, Briscoe, Carson, Castro, Childress, Cochran, Collingsworth, Cottle, Crosby, Dallam, Deaf Smith, Dickens, Donley, Floyd, Foard, Garza, Gray, Hale, Hall, Hansford, Hardeman, Hartley, Hemphill, Hockley, Hutchinson, Kent, King, Lamb, Lipscomb, Lubbock, Lynn, Moore, Motley, Ochiltree, Oldham, Parmer, Potter, Randall, Roberts, Sherman, Swisher, Terry, Wheeler, Wilbarger, Yoakum. If you wished to appeal from one of the trial courts in the United States District Court for the Northern District of Texas - Amarillo Division, you would appeal to the Fifth Circuit United States Court of Appeals located in New Orleans, Louisiana. Amarillo Wrongful Death Lawyers are experienced trial lawyers and can represent you in federal and state courts throughout the Greater Amarillo area. Contact an Amarillo Personal Injury Lawyer today for a FREE INITIAL CONSULTATION. 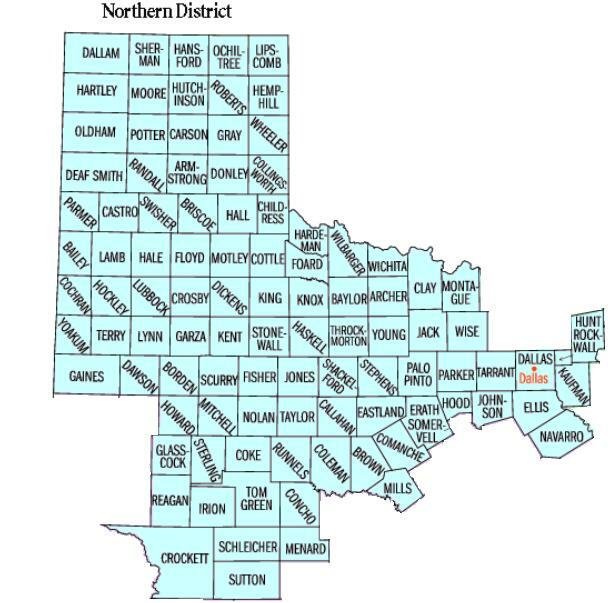 Serving clients throughout the Texas Panhandle (North Texas), including Adrian, Ady, Amarillo, Amherst, Ashtoloa, Baileyboro, Bishop Hills, Bodemn, Borger, Bovina, Bushland, Canadian River Breaks, Canyon, Carey, Channing, Childress, Chunky, Clarendon, Claude, Claytonville, Cliffside, Conlen, Dalhart, Dawn, Dimmitt, Dumas, Earth, Edmonson, Estelline, Farwell, Finney, Floydada, Folsom, Four Way, Friona, Fritch, Gentry, Gluck, Goodnight, Halfway, Happy, Happy Union, Hart, Hartley, Hereford, Howardwick, Juilliard, Kress, Lake Tanglewood, Levelland, Littlefield, Lockney, Masterson, Matador, McLean, Memphis, Morton, Muleshoe, North Randall, Palisades, Pampa, Panhandle, Plainview, Pleasant Valley, Pullman, Roaring Springs, Samford, Shamrock, Skellytown, Stratford, Timbercreek Canyon, Tulia, Umbarger, Washburn, White Deer, Yarnall and other communities in Armstrong County, Briscoe County, Carson County, Castro County, Deaf Smith County, Gray County, Hartley County, Hutchinson County, Moore county, Oldham County, Parmer County, Potter County, Randall County, Roberts County, and Swisher County..